One of my favorite genre of movie is apocalyptic fiction. I just recently wrote a list of the 10 best dystopian movies, and so you might be wondering why I’m writing this article. But there is a difference. Dystopian societies are usually created after some horrific event, by apocalyptic movies usually focus on the actual horrific event. Many of the best apocalyptic movies feature zombies as the main threat, but there can be any number of threats, just so long as they might destroy life on earth. So I’ve decided to list the very best apocalyptic movies, here are my top 10. Dawn of the Dead was the inevitable sequel to Night of the living dead, which was basically the first zombie movie as we’d recognize zombies today. In the first installment, a zombie outbreak suddenly spreads across America. In this sequel, the zombie hoards continue to spread internationally to the point where they own American cities. But a group of surviving humans hide in an abandoned shopping mall, and seek to defend it as their mortal fortress. The movie is a lot better developed than the first one, with a bigger budget and color film. It’s actually a really good movie, despite being outdated in many different ways. As I said, you can’t talk about the best apocalyptic movies without giving zombie movies a mention. 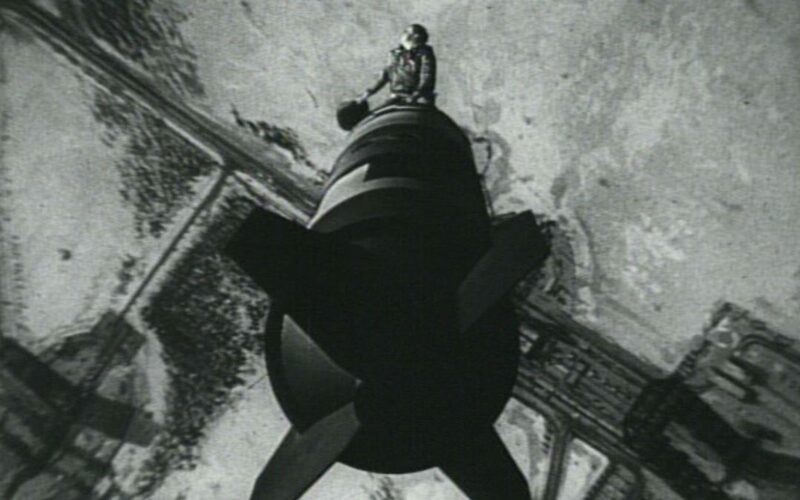 Dr. Strangelove tells the story of a mentally imbalanced military officer who wants to start a nuclear war with the USSR, which would surely have meant an apocalypse as this was during the cold war. The movie is actually a satire of the tension between the two countries in real life, featuring scenes where military officials have custard pie fights. At one point, an air force officer jumps onto a nuclear bombs just before it’s dropped and rides it to the ground like an insane cowboy. It’s a pretty bizarre movie. The mentally unbalanced military officer was once a Nazi, which explains why he wants to nuke Russia. The Day After Tomorrow was one of my favorite childhood movies. The film tells the story of ordinary humans desperate to survive the vastly changing climate which threatens to throw Earth into a new ice age. Obviously, many many people would die in a new ice age. In the movie, a climate scientist sees what’s coming, but most people don’t believe him. So he travels across America to rescue his young son from danger. Will he reach his son before the deadly storm does? The movie remains the highest grossing movie made in Canada, doing 544 million at the box office. Stake land is set in a world exactly the same as ours, but a strange disease breaks out which transforms ordinary people into Vampires. The vampire outbreak has caused American society to break down, and it’s become the worst place ever. There are people who have taken to killing vampires. They travel through the abandoned cities of America hunting the undead. The main plot of the movie follows one vampire hunted who looks after a young man who is frankly clueless in how to survive. They decide to try and locate somewhere safe, where the vampire plague hasn’t reached. It’s a really good movie that doesn’t receive the credit it deserves. Threads is a disturbingly realistic tv movie showing how a nuclear war would affect Great Britain. It was produced in 1984, the height of the cold war. So it represented what many thought was likely to soon happen. Luckily, a nuclear war never occurred. The movie is a documentary-style depiction of nuclear weapons being unleashed on England, making points of both the short term and long term effects of the nuclear conflicts. Threads mostly focused on the city of Sheffield, which really freaked out a lot of people who live in the city. Being documentary-style, some people started watching half way through and thought it was a real news report on Soviet attacks on Britain. 28 Days Later is, in my opinion, the best zombie movie made yet. The plot follows a man who goes into a coma for 28 days. After a month, he awakes in an abandoned wrecked hospital. Exiting the hospital, it seems like all of London is abandoned. But he soon realizes that the city is heavily populated, but not by humans. But he does encounter some humans, who help him survive as they head for the countryside, which they assume to be more safe. The zombie virus broke out when animal rights activists released a monkey being experimented on. But the monkey had been infected with the virus. The Day After is a lot similar to Threads, but was produced one year before. It was set in America, and it also focused on the events within one city. The small city of Lawrence, Kansas is no different than any other, with it’s residents struggling to survive. It’s a horrifyingly realistic movie, which is why a hundred million people watched it when it was first screened on television. The movie depicts the outcome of a nuclear war between the west and the Soviets. It’s just as disturbing to watch as Threads, which makes me think it may have inspired Threads. But The Day After focuses more on the actual warfare, tracking how far across Europe Soviet troops reach. Oblivion is more post-apocalyptic movie, but it deserves to be on a list of the best apocalyptic movies anyway. In it, Tom Cruise plays a space-soldier sent to earth to extract valuable resources. It’s set during the last stages of the human race relocating to one of saturn’s moons. They are doing this because of a terrible event which rendered Earth uninhabitable. So people just abandoned the planet because it’s in the near future. The movie is set in 2077, and Tom Cruise’s character is sent down to earth just to locate anything left of value on the old planet, and have it transported to the new planet before Earth is finally abandoned. This Is the End is bloody hilarious. It tells the story of a group of actors who go to a showbiz party at James Franco’s house. While at the party, the world suddenly comes to an end. The group of actors then have to try and survive the coming apocalypse for long enough to try and find out what’s happening. The group of survivors include Seth Rogen, Danny McBride and Jonah Hill, and they’re playing themselves. It’s a really interesting idea for a movie and luckily it turned out well. Of all the best apocalyptic movies, this one might be the most ridiculous. The World’s End is another bizarre comedy set during the apocalypse. Who would have known so many of the best apocalyptic movies aren’t entirely serious? During the film, 5 old friends get together for an epic pub crawl just like the ones they went on when they were younger. However, the apocalypse appears to encroach upon them. But it takes them a while to realize what’s going on, partly because they’re constantly drunk. But it turns out there is an evil network of non-humans who seek to absolutely destroy humanity.